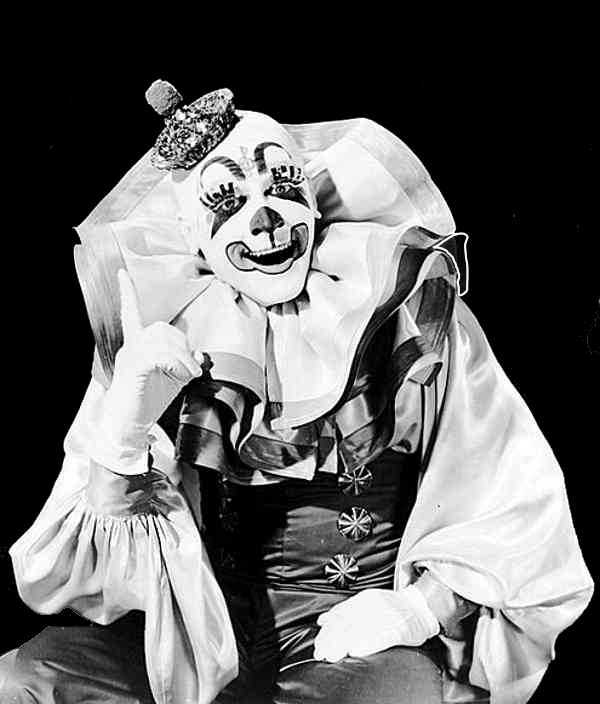 Ernie Burch, better known as Blinko the Circus Clown, was born in Linden, N.J. on July 29, 1923. Ernie left home at age 15 and began working for Ben Davenport's Daily Bros Circus. 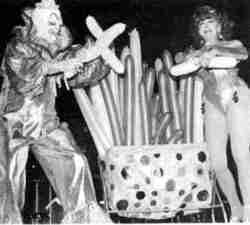 On Daily Brothers, Ernie met fellow clown Lou Kish who had many years of professional clowning experience. Kish began mentoring Burch in the fine art of circus clowning. Burch continued with Daily Bros. until 1943 when his career was interrupted by World War II. Ernie Enlisted in the United States army on April 5 1943 and served until the end of the war and then rejoined Daily Bros.
After Daily Bros. Burch worked for Cole Bros. Circus, King Bros. Circus and the Sparks Circus. In 1948 Ernie was hired by the Ringling Bros. and Barnum & Bailey Circus. In 1951 Cecil B. DeMille filmed the movie "The Greatest Show on Earth" on the Ringling show. Ernie's colorful whiteface make and trademark exaggerated green eyelashes were perfect for the Technicolor epic, Burch appears in many scenes of the movie. It was DeMille who gave Ernie the name of "Blinko". 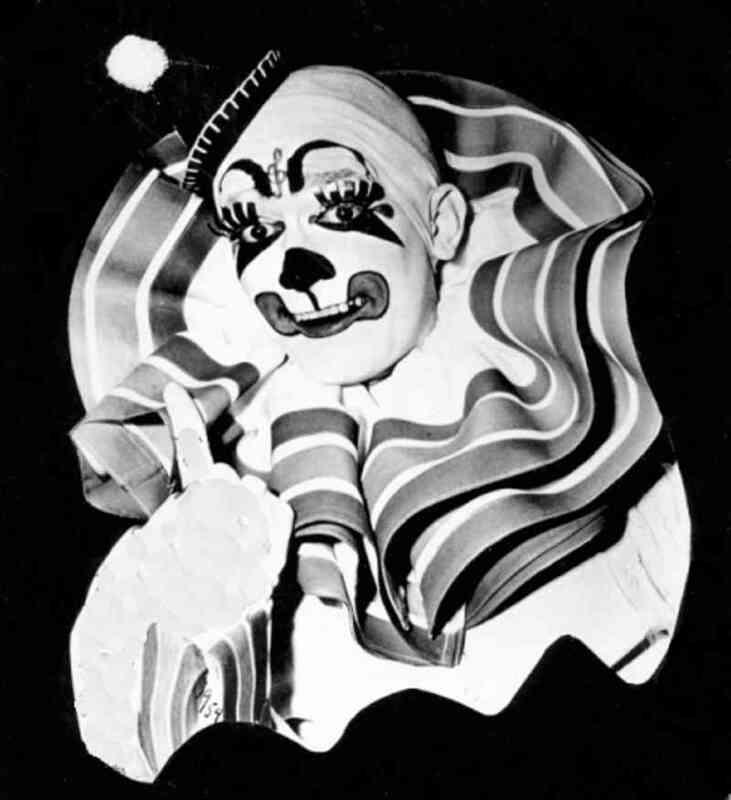 While working with Ringling in 1956, Ernie met Hungarian born (Mar. 28 1921), circus performer Maran Corell a member of the Abbott Sisters troup of acrobats, the couple were married in Miami, under the big top of the Clyde Beatty Cole Bros Circus on October 18, 1958. 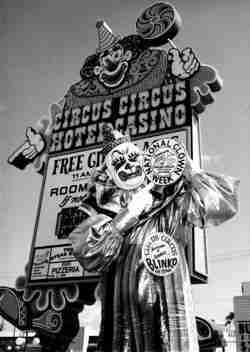 In 1978 Ernie and Maran began working at the Circus Circus Casino in Las Vegas. 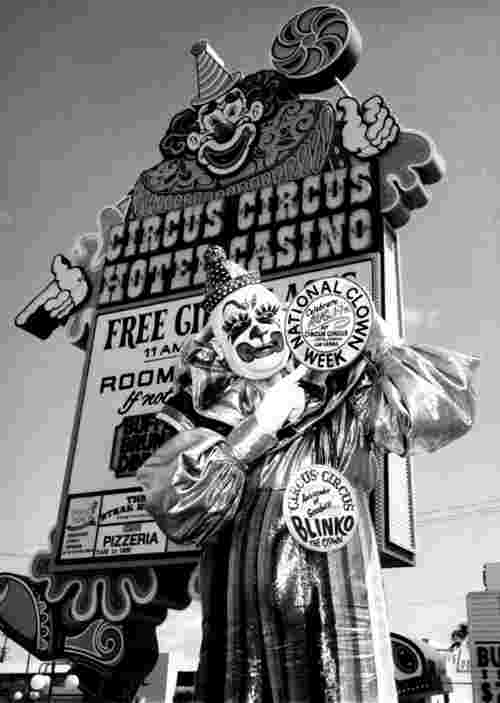 Burch was the "Clown Ambassador" of the hotel/casino, he walked through the resort greeting guest and made balloon figures for the kids. During the holiday seasons, Ernie portrayed Santa Claus at the casino. In 1990 Ernie and Maran retired to their home in Sarasota, Florida. Ernie Burch died of cancer on August 29, 1993, in Sarasota, FL..
Maran Corell Burch passed away June 25, 2007 age 86. On Jan. 15, 2000 Ernie (Blinko) Burch was inducted into the Sarasota's Circus Ring of Fame. 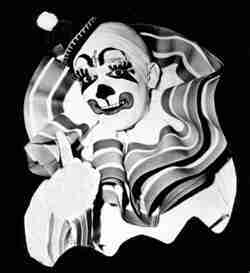 In 1998 Ernie Burch was inducted into the "Clown Hall of Fame"